I don't often have personal posts on my blog, but sometimes, very important family happenings need to be announced to the World!! The Purly Family Number 1 and only son has become engaged to his long time love! 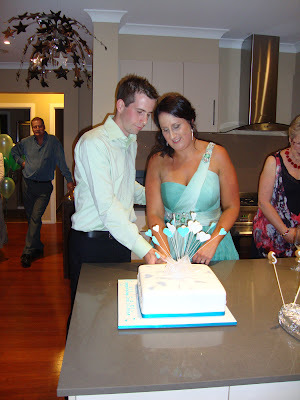 We had a great Party to celebrate this event along with a House-warming of their beautiful home! We are so happy for both of them! It's not just his Mum who thinks he looks about 18 years old. He was always the one asked for ID! Wonder where those youthful genes came from?? Nuno Felted Summer Scarf/Wrap Workshop.